Tjintawarra's Story: Aboriginal Australia: >>photo essays: *photography: Kia Mistilis // Journalist, Photographer, Editor. Tjintawarra’s daughter went to Alice Springs for treatment after her swollen finger became infected from a splinter. When she did not return after some time, Tjintawarra walked 350 kms to Alice Springs with only a digging stick and a billy can, determined to bring her daughter home. She found her daughter in an institution, met her later that night in the bush, and they walked 350 km home. On the way Tjintawarra hunted goanna and dug for witchetty grubs, and a desert finch guided them to a rockpool when they ran out of water. 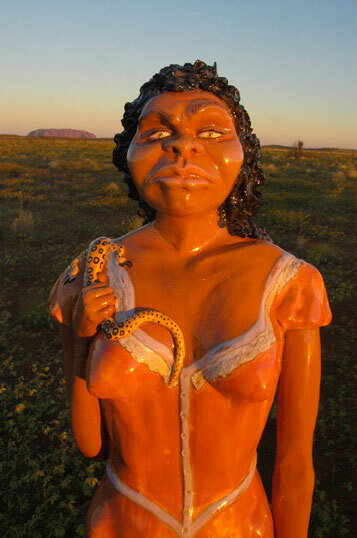 Tjintawarra’s daughter grew up with her desert family and was never taken again.